As we all have heard by now, a massive hurricane named Sandy is expected to hit the shore of our eastern coast tonight. This article is a collection of preparedness and response tips, some idea of what you can expect, and photos from citizens on the ground. 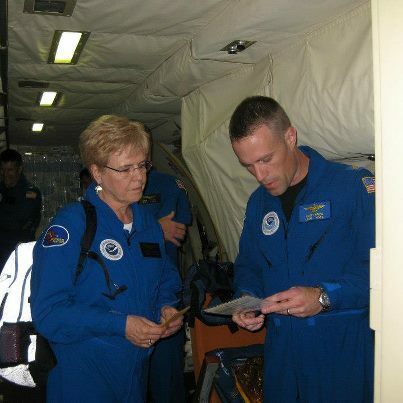 Karyn has a background in disaster safety, aquired during her time as a National Response and Preparedness AmeriCorps Member with the American Red Cross in Santa Barbara, she authored this article. Reports of predicted damage are all over the place, but I think we are ready. 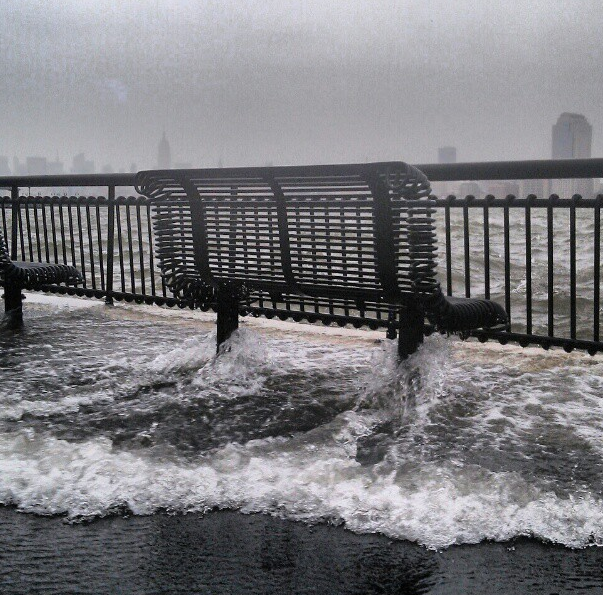 New York is in a national state of emergency and thousands have been evacuated from lower Manhattan and Rockaway Beach. If you live in these areas, leave. If you live in the surrounding area, be prepared and you will be okay. Read the pamphlet here. Donate to the American Red Cross here. Gather enough food and water for three (3) days. Consider filling a bathtub with emergency water, sanitize it with one, small drop of bleach. Find a radio – if the power goes out you will be bored and will want information. Radios are always there for us. 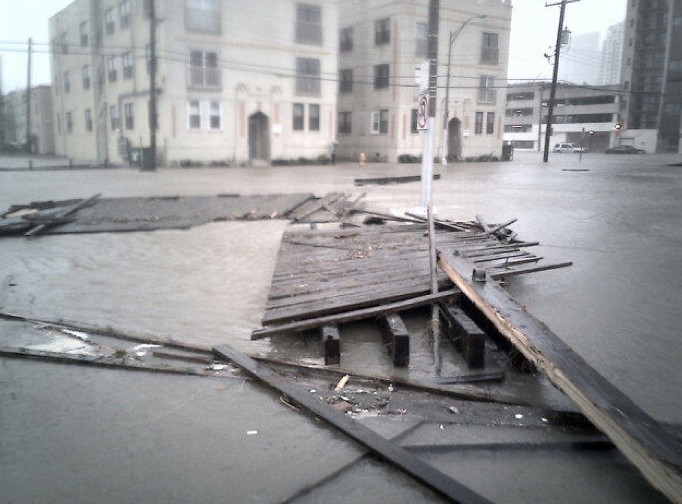 Follow FEMA, NOAA, and your local Red Cross on Facebook and Twitter. Fill you car with gasoline. Charge your phone and other emergency-related devices. Pay attention to evacuation orders, know where the nearest emergency shelters are. Take shelter away from windows and in small, interior rooms. Talk to neighbors, communicate with those around you. Make sure your loved ones know where you are. Turn off propane and small devices. Prepare candles, but be careful not to start fires. Find a flashlight (make sure you have batteries). Have a physical map of your area. There is a lot of uncertainty when it comes to predicting any of Earth’s ragers, but the map below (from the Huffington Post) gives us a pretty good idea of what the evidence is saying the next few days will look like. 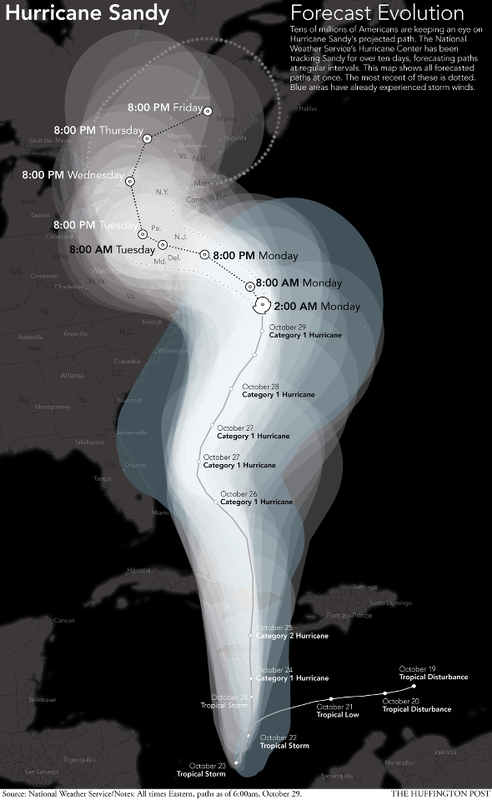 We’ll keep an eye on Sandy’s path as she reaches land. MotherJones is also providing detailed updates here. Stay turned. 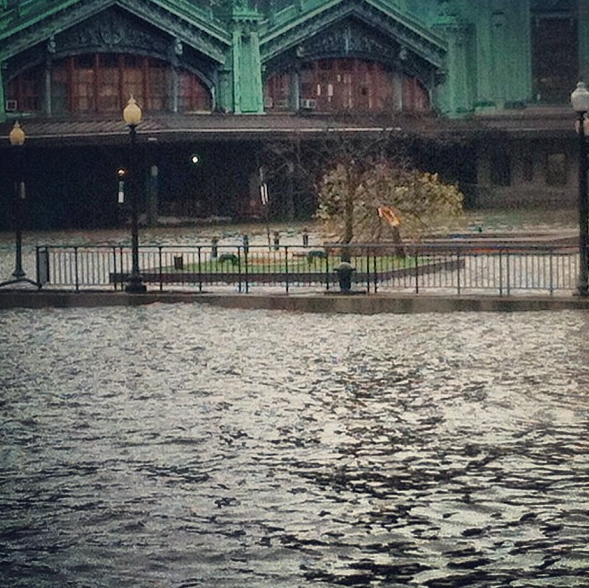 A collection of all predictions available for Hurricane Sandy’s path from the Huffington Post. This information can change on a dime, stay turned. This storm is no joke. 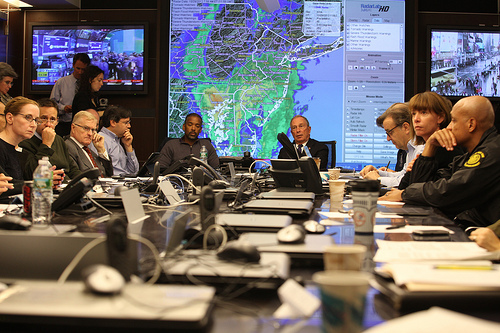 Although we have yet to see Sandy touchdown on land, some citizens on the ground are already witnessing some major weather events. If you are having a hard time coping with the anticipation, then you should relax and try to laugh a little (check out this sarcastic article from The Onion). If you reduce your worry you will think sharper and remain calm throughout the experience. In a few days this will all be over. The entire country is thinking about you and your government is ready. You’ll get a map like the one below. 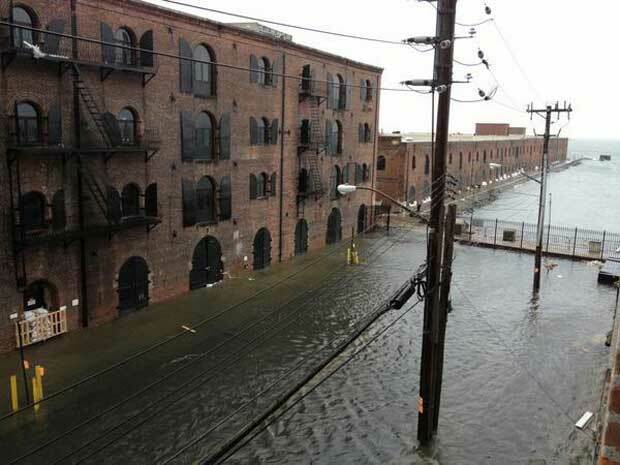 All states and cities provide evacuation maps, shelters, and other pertinent information on their websites. 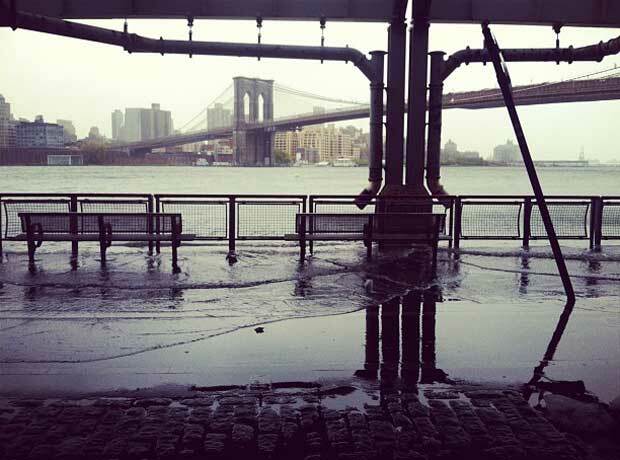 I recently looked into New York City’s info and turned up with a lot of great information. 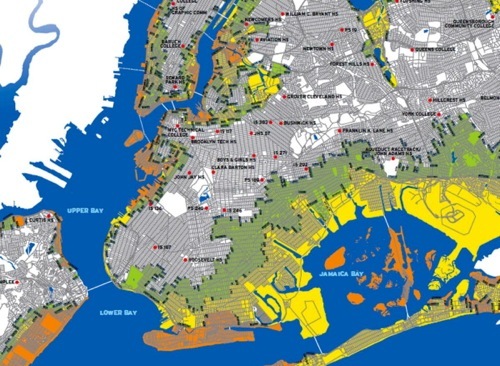 If you are in New York City, you can look up your address here to check if you are expected to evacuate if Sandy reaches you.